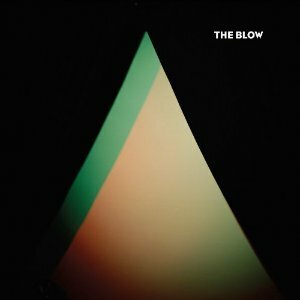 When “Make It Up” materialized two months ago, our excitement for more new music from The Blow (Khaela Maricich, Melissa Dyne) couldn’t have been higher. The alluring blend of shuffling percussion, stone-skipping synths, and deceptively quaint vocals slew us immediately. Maricich’s breathy “thought I knew what love was” works as a romantic lament as well as an apologetic reintroduction. More streamlined and subdued than Paper Television, The Blow‘s mood best matches a lazy afternoon spent in bed with idealized memories. Most tracks revel in prickly yearning and delightful details. “I Tell Myself Everything” is anchored by the affirmation, “I heard a rumor that I was amazing.” Later, our hero brandishes a powder pink handgun (“Like Girls”). Towards the end, we are tucked in by “The Specter” and “Not Dead Yet,” a pair of bubbly yet morbid lullabies. For a thirty minute album from an act we haven’t heard from in six years, we didn’t expect to feel the urge to hit skip. Unfortunately, some attempts at minimalism come across as simply half-finished. “Invisible” sounds like high school marching band practice, and the sedated “You’re My Light” is more sour than sweet. The Blow isn’t forceful enough to reverse foul moods or command rumps to shake, but this edgy electro pop confection still merits repeat listens.